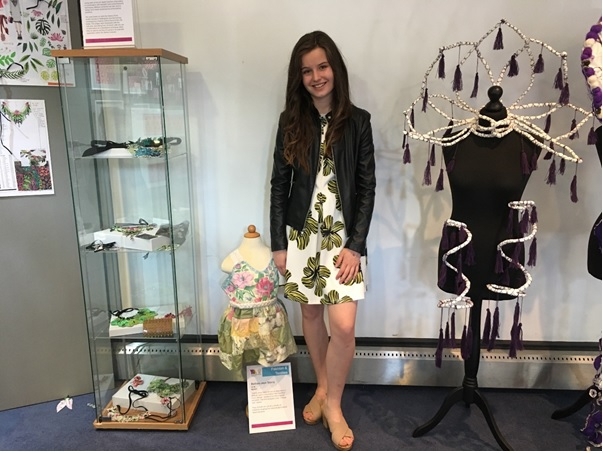 Bethan-Jaye Storry (Year 10) entered the Fashion and Textiles category at the Nottingham Creative Awards for 13-15 year olds designing and making a dress for children. She was shortlisted from over 600 entries and invited to attend the awards at Nottingham Playhouse on 23 May. On the evening she was 'highly commended' and received a certificate. She thoroughly enjoyed the evening and felt privileged to have her work displayed at such a prestigious event. NUAST would like to congratulate Bethan-Jaye for this fantastic achievement and we are so pleased that her creativity and hard work has been recognised in this way.